Vignesh Shivan is a popular Tamil screenwriter, filmmaker, actor and lyricist who was last seen helming the Suriya-starrer Thaana Serndha Koottam. The actor will be directing the upcoming Sivakarthikeyan film which is tentatively titled as 'SK-17' with Anirudh composing music for the film. The actor took to Instagram to wish his fans and followers a Happy Tamil new year and Vishu. The post featured Vignesh Shivan, along with his family members and actress Nayanthara. Actress Nayanthara had earlier worked with Vignesh Shivan in the 2015 Blockbuster 'Naanum Rowdy Dhaan'. The actress will be seen in the Atlee-directed Thalapathy 63 and the A.R Murugadoss directorial Darbar along with Superstar Rajinikanth. Dhanush, Vijay Sethupathi And Vignesh Shivan Come Together For Another Project. 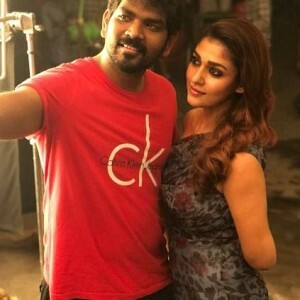 People looking for online information on Nayanthara, Vignesh shivan will find this news story useful.